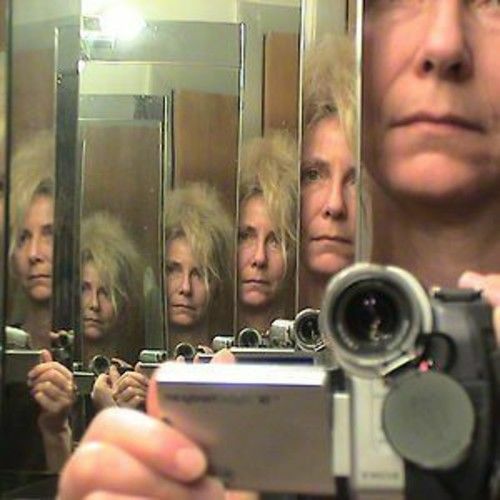 Lisa Karrer is a composer, vocalist, interdisciplinary performance artist and educator who tours, collaborates and records with a wide range of performing and visual artists and ensembles. 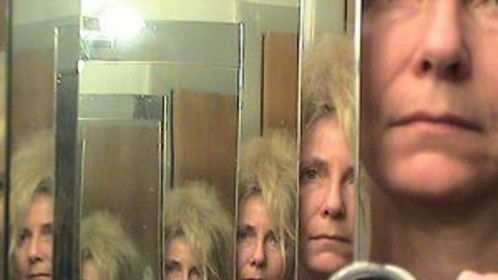 She presents her multimedia music and performance works in the U.S. and abroad. Professional collaborators and colleagues include composers and musicians David Simons, Skip LaPlante, Tan Dun, David First, Denman Maroney, John Morton, Tom Buckner, Margaret Leng Tan, Stephanie Griffin, Joshua Fried, Daniel Goode, Elizabeth Brown, Jerome Kitzke and Tony Prabowa; visual artists Jenny Lynn McNutt, Gregory Barsamian, Mary Ziegler, Bill Hochhausen, Patricia Hickman, Robert Egert, Jacqueline Shatz, Theodora Skipitares, Jeff Gompertz, Peeter Laurits and Kate Yourke; choreographers Douglas Dunn, Muna Tseng and Colin Connor; filmmaker Toni Dove, and music ensembles such as The Flexible Orchestra, Gamelan Son of Lion and Music For Homemade Instruments. Awards include two CEC ArtsLink Project Grants, two Greenwall Foundation grants, two Arts International Festival Fund grants and various Meet The Composer awards, as well as grants from the Mary Flagler Cary Charitable Trust, the Jerome Foundation, The Aaron Copland Fund, Rockefeller NY State Music Fund, the Mid Atlantic Arts Foundation, Manhattan Community Arts Fund, and the Sari Dienes Foundation. Major performance works include "The Birth of George”(1997), a chamber opera premiered at LaMama with co-composer David Simons, co-produced by Harvestworks and American Opera Projects and recorded on the TELLUS label; “Puhamu”(1997), a multimedia music-theatre project premiered at Niguliste Church in Tallinn, Estonia; “Triskelion” (1999-2001) with choreographer Douglas Dunn, at Riverside Church and the 92nd St Y; "Woman's Song: The Story of Roro Mendut" (2003), a wayang opera presented at the Kitchen in co-production with World Music Institute; “Schismism: Fractured America” (2007), curated by Kathy Supove and produced by the Flea Theatre, and “Schismism: Natural Law” (2008-2012), based on the life of Charles Darwin, premiered at the Living Theatre, with performances at Dixon Place, Cornelia Street Cafe, Binghamton University's EvOS series, CAL State University at San Marcos Darwin Symposium, and the SEMI Electronic Festival in Hartford Connecticut. Lisa's video “Ziarah Dalam Gereja Gunung” (2009) was featured at Rockland Center for the Arts' Project Media Room, and her video “Claudius Smith” (2009), commissioned by composer Denman Maroney, premiered at Garnerville Arts Center, followed by Tenri Cultural Institute and Dixon Place. In 2010 Lisa composed the score for “ALICE”, an adaptation of Alice In Wonderland commissioned by Ramapo College's Berrie Center for the Arts. Recent video and sound works include her chamber composition “The Language of Life” (2012) commissioned by Flexible Orchestra, “Who Reads Who Speaks Who Hears” (2012), a video installation at Garnerville Arts with textile artist Pat Hickman, Roulette 's Vital Vox Festival/March 2013, and “LANDSCAPE Re. Formed” (2013) an installation with painter/sculptor Bill Hochhausen at H55 Gallery in Long Island City. In 2014 Lisa premiered a multimedia performance based on late artist Chen Zhen’s object-based drum sculpture “Traitment Musical Vibratoire”, commissioned by HVCCA/Hudson Valley Center for Contemporary Art. Lisa has a BA in Interdisciplinary Performing Arts from Empire State College, and is currently doing MFA studies in City College's Digital Interdisciplinary Arts Practice (DIAP) program.